I believe subscriptions and memberships are a glint of good news in an otherwise troubled media landscape. They can be a revenue stream that more closely aligns the interest of publications and readers and, especially in the past two years, there seems to be awareness among readers that they get what they pay for when they rely only on free news. Still, it’s easy, especially early on, to focus on the upside of new media business innovations rather than their potential downsides. Consider, for instance, Google AdSense, which when it launched in 2003 promised to allow any website to generate advertising revenue. “Now, thanks to automated ad sales, small publishers have a more viable hope of creating a business, and keeping independent voices,” enthused even the sharpest of observers surveying the ways technology was reshaping journalism. In building digital subscription businesses, publishers are catching up to the hyper-competitive and well-developed e-commerce techniques of wringing money out of consumers online. This is often called “funnel thinking,” in which prospective customers are moved down the engagement line — from, say, sharing a meme on Facebook, to subscribing to a YouTube channel, to ultimately forking over a credit card number and making a purchase. The funnel is then relentlessly optimized for higher “conversion rates.” To see this in action, check your Instagram feed for the scammy ads for dubious gadgets from drop shippers who have mastered making slick videos for crap products. In the next year, more publishers will jump into the subscription revenue pool and start assembling funnels of their own. But it’s already possible to see tensions between how a subscription businesses operates and the journalism it supports. In the wake of 2016, a number of publications reported a surge in subscribers. These outlets are all equally grateful for the reader support. But it has led newspapers like The New York Times and The Washington Post, which have traditionally prized their objectivity and non-partisanship, to position themselves as bulwarks of the Resistance, ensuring the protection of the concept of truth during the Trump administration. Internally, both papers are large organizations with strong and slow-to-change newsroom cultures. Still, there have already been reports of internal conflicts between those journalists who see their role as nonpartisan truthtellers and those who believe their mission is to promote social justice. However that debate is settled internally, externally both papers now have a significant number of subscribers who are liberals who saw their subscribing to a paper as a political act — and they’ll be quick to voice their disappointment (and possibly even cancel their subscriptions) if the paper does something they think doesn’t fit their politics. At the mouth of many online commerce funnels is content marketing — content produced to be read and shared on various platforms, casting a wide net for people who might eventually convert into a sale of some other product or service. This is all fairly straightforward for purveyors of mattresses or business software. But for publishers of journalism, this creates a kind of conundrum, because the product is the content and the content is the product. That’s why most publications have put up metered paywalls rather than hard ones: Those 1 or 2 or 10 stories a user gets to read for free are an opportunity to convert readers into subscribers. But what happens when those two functions are in conflict? Newsroom managers will have to decide between spending their resources on the kind of content that the metrics show are converting very well and the kind of content that isn’t. And anyone who has followed journalism for the last couple of decades probably has an inkling of how these conflicts usually get settled. Even now, some public-minded publications are beginning to sound like an NPR station during pledge week: An increasing amount of the work they produce seems to be about how important and vital it is that they continue to produce work. Many of the kinds of businesses that are good at “funnel thinking” are product agnostic. They can switch from selling diet pills to survival kits to watches, refashioning their business model wherever the margins and conversion rates take them. Publishers of journalism (usually) are more outcome-oriented: They’re in the business of creating journalism. But the time-tested e-commerce methods have the potential to challenge that, especially if traditional journalism doesn’t convert into subscribers as much as other things publishers produce. An example: Slate has been one of the web’s premier homes for journalism for more than two decades, and it was an early innovator in subscriber revenue with its Slate Plus program. But if you were to judge Slate just by its “Join Slate Plus” page, you might get the impression that it’s primarily a podcasting company; the word “journalism” gets a single mention while “podcast” appears seven times. Would Slate lay off its staff of writers and editors who produce text stories in order to “pivot to podcasts”? I doubt its current leadership would — but that’s exactly the kind of thing “funnel thinking” would suggest if that’s where all their membership money is coming from. Now repeat that mental exercise, but at a local newspaper that’s discovered its primary selling point for digital subscribers was its local sports coverage, or its recipe guides, or its crossword puzzles. Those might be great business opportunities, but it leaves journalism like metro coverage as a loss-leader, dependent on a cross-subsidy from an unrelated business function. Again, I’m a believer in subscription and membership revenue models. But I think the best ways of avoiding these possible misalignments between subscriptions and journalism are to first be aware of the possibility that they can, in fact, become misaligned — and for those building subscription programs to keep their mission as journalists top of mind. 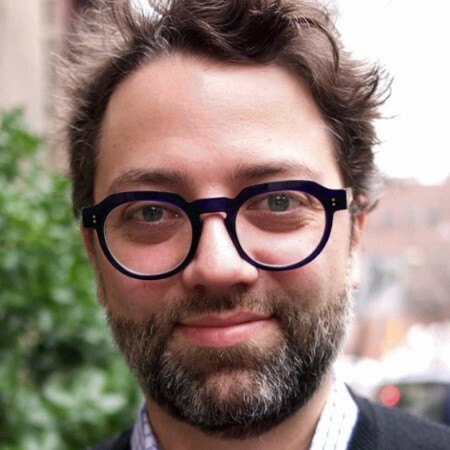 Gabriel Snyder is an editor who has held top positions at The New Republic, Gawker, Newsweek, and The Atlantic. Jan. 3, 2019, 2:42 p.m.